iTunes is the best way to enjoy your digital music and video with your Mac, iPod, iPhone and Apple TV. iTunes allows you to create libraries of your favorite music that you can play on your computer or portable MP3 player. You can even burn your owncustom CDs with the push of a button. 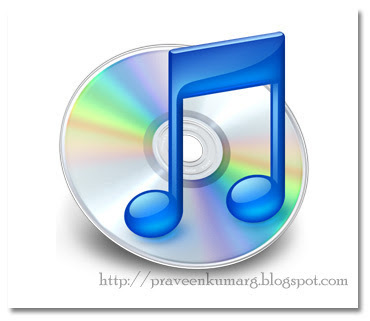 Import your CD music collection into iTunes – Put an audio CD into your computer’s disc drive and click Import CD. iTunes automatically retrieves each song’s title, artist, and other information. Download music, video, and more – In iTunes, click iTunes Store and you can download songs, albums, audiobooks, TV shows, podcasts, music videos, short films, games, and more. The iTunes Store is always open and your selections download to your computer immediately. Organize your media collection using playlists – Create your own music and video compilations. For example, create a playlist of your favorite songs or of songs perfect for an occasion, such as a birthday party. Smart Playlists update automatically as your library changes. Take your media library with you – Sync your iTunes library with your iPod or iPhone to take your collection with you wherever you go. If you have an iPod that supports video, you can watch movies and TV shows on your iPod.